For the second consecutive year, WYA NA partnered with Benedictine College (Atchison, KS) to host its 2018 Emerging Leaders Conference (ELC), “The Modern Identity Crisis: The Person and Bioethics”. Merging the study of philosophy and bioethics, the ELC explored bioethical issues through the lens of human dignity. This year’s Emerging Leader’s Conference gave many students at Benedictine another chance to get a window into the work that WYA does, and how crucial this work is for the problem of man in our modern world. Students were drawn into the talks by bioethical leaders in Kansas City who work hard for defending the dignity of the human person! Together, Rebecca and WYA staff selected speakers that would equip and inspire Benedictine students toward authentic leadership in the realm of bioethics. 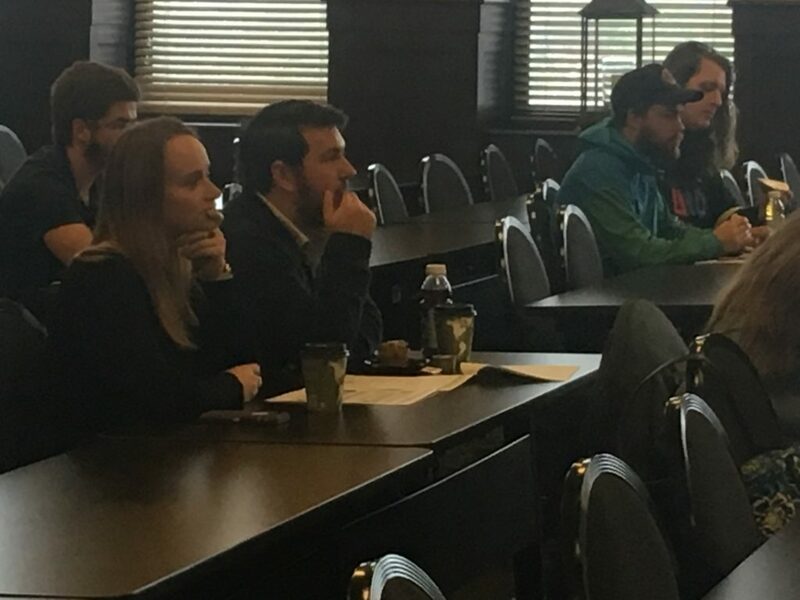 Esteemed Benedictine professors Dr. John Rziha (Department of Theology) and Dr. Andrew Jaeger (Department of Philosophy) facilitated an exploration of Catholic moral theology and the philosophy of the human person. They provided a person-centered framework through which participants could confidently comprehend and respond to bioethical issues, including those presented in the conference’s latter half. Dr. Rziha opened the conference with his presentation, “On Perfecting Bioethical Actions”. He outlined practical guidelines and a decision-making process to respond to end of life circumstances. Dr. Jaeger followed with, “The Ontological Mystery: Reflections on Science and Technology”. He outlined key ontological concepts to the human person and illustrated that the human person cannot be defined by function. He emphasized that the human person is never the problem, but rather, the human person and his experience, including suffering and death, should be “awed at”. Bolstered with this objective-truth framework, students then examined specific bioethical issues with Dr. Eileen Amari-Vaught (University of Missouri-Kansas City School of Nursing) and Dr. Britt Johnson (Kansas City University Assistant Professor of Bioethics). Dr. Amari-Vaught explored Euthanasia in her presentation entitled, “Moral Complexity and Ethical Decision Making”. She presented case studies to illustrate the challenges the issue presents. Her presentation demonstrated the many people who are impacted by the issue, including patients, patient’s families, physicians, and policy makers. Dr. Britt Johnson followed with “Empathy in Medicine: Practical Outcomes for Patients and Providers”. She presented bioethics from a physician’s perspective. She demonstrated the burden bioethical circumstances where physicians are especially impacted. She also illustrated that in some cases, the healthcare system itself causes and/or exacerbates the burden. Their remarks made it ever more clear the necessity to develop a person-centered and objective truth framework guide one’s analysis and decision-making. WYA is grateful to partner with Benedictine College for its 2018 ELC and pleased to work together in the mission to promote the dignity of every human person.